Introducing Bon Voyage and their "African Voices"
"African Voices" is a manifesto for breaking free. It’s the galaxy’s guide book to liberalism. When you’re standing on the edge of the ledge, ..
SOHN re-emerges with feels soaked track, "Signal"
SOHN is one of those artists who makes music that touches you in a way that literally no other artist is able to come close to. We haven't ..
Submerged in post-vacation emails currently, so this edition’s intro/list is shorter — quality over quantity, people. While I was knocking ..
Xavier White and Paul Couture reconnect again in "Life For You"
Following their last collaborative effort on "Bad Blood", Xavier White and Paul Couture have come together again in a silky hip-hop tune ..
Berkeley-based Caleborate has been consistently releasing gems for some time now, like August 2015's Hella Good and January 2015's Winter ..
Lydia Kitto shines on "Concrete Moonlight"
Lydia Kitto is a star on the rise. The Essex vocalist takes her influences of jazz, soul, and hip-hop and makes them her own, and has released her .. I think most twenty-somethings can identify with the classification of ambivert. An ambivert, pronounced ˈambəˌvərt can be defined as someone .. Introducing DeModa and his remix of "Shelter"
New York City's DeModa is the plain and simple, the manifestation of the next generation of electronic producers and DJs. With the influence ..
One common theme in the current music landscape that we can appreciate is the movement away from confining and defining artists by genre. ..
LA-based producer VenessaMichaels is back today with a new, bumpin' Jersey-esque single to wake us up on this sleepy Tuesday afternoon. 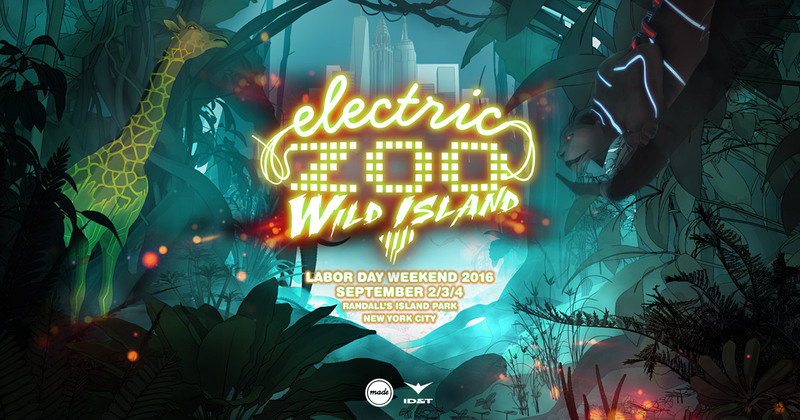 ..
New York City's famed Electric Zoo is set to hit Randall's Island for its eight year this Labor Day Weekend. The festival has grown from ..
Gosh Pith want you in the moment for their latest single "In My Car"
Gosh Pith is an experimental production duo hailing out of Detroit, who have been pioneering a particular blend of R&B, electronic, hip-hop ..